Reviewing another lens I got from www.LensCircle.com! 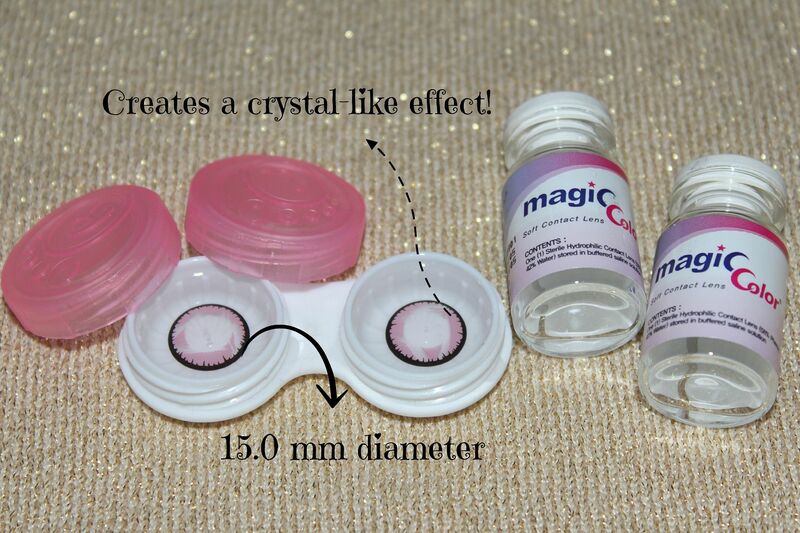 This pair is called Crystal Series Contact Lens. 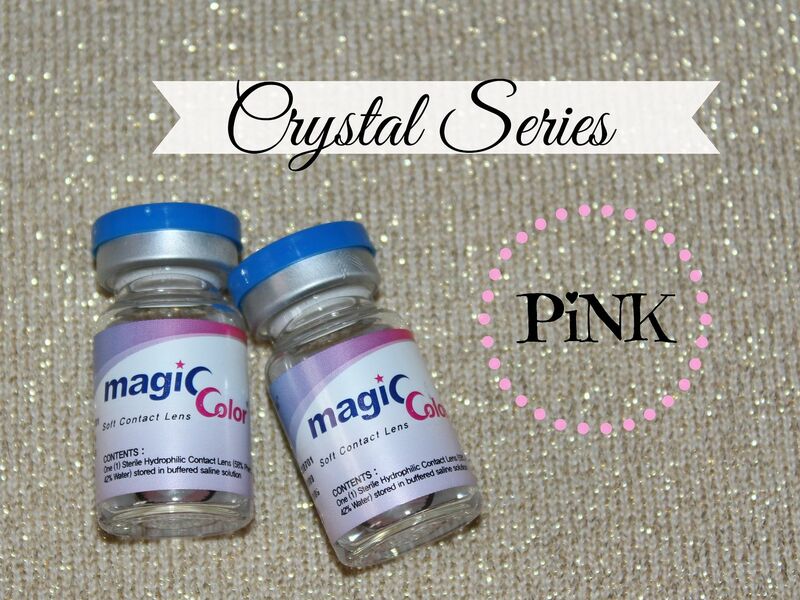 This design creates a crystal-like effect with a unique sparkle of Pink! Who has Pink eyes in real life, you ask? When one mentions pink eyes, I immediately think of a cute bunny, Barbie doll and Xiaxue. Those 3 are so cute, aren't they? So I thought, why not try pink this time! We've all tried brown, grey and blue. Why not surprise your friends by coming to work with pink eyes one day?! 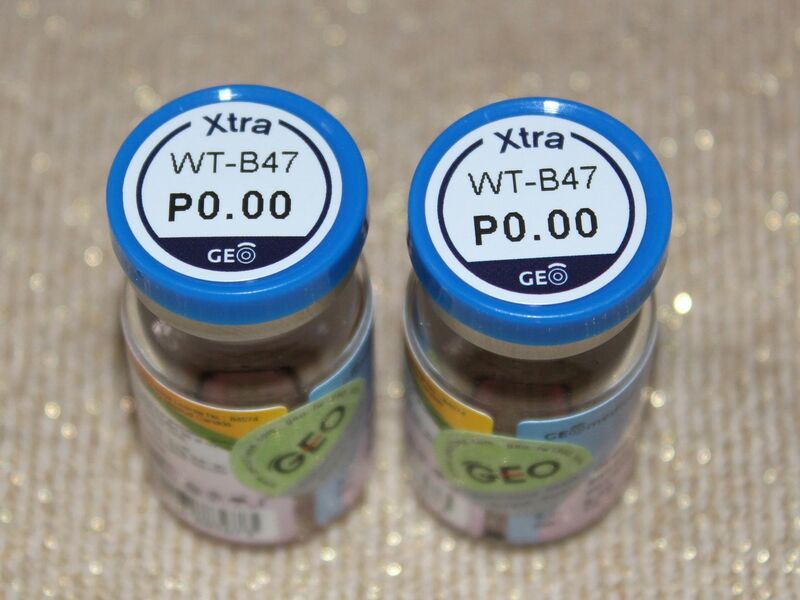 Manufacturer : Geo Medical Inc. Here's how the lenses look on my eyes. To be honest, it feels a bit odd to step out of the house with pink eyes. But at least you'll get people's attention, if that's what you like. I personally enjoy some attention so I didn't mind when people noticed them. My eyes were like 'crystal', giving a frozen feel. Despite the appearance, the lenses still feel like the usual lenses. They were easy to put on and feel comfortable. I was able to wear it for 7 hours without feeling any pain or drying sensation. A good pair of lenses if you are tired of the usual colour lenses! 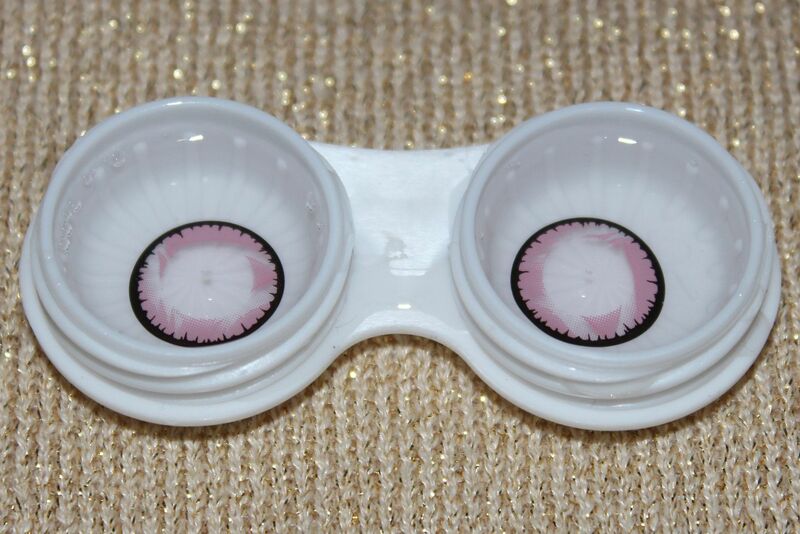 If you want this contact lens, head over to www.LensCircle.com and use the code REAL10 to get 10% off your purchase!